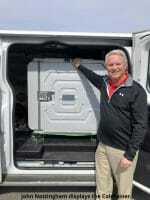 Free Vending Industry Newsletter, Vending Business Newsletter sent weekly to your email! Vending Business Industry Newsletters – Sign up here- it’s FREE! The VENDING E-NEWSLETTER© is NEWS dedicated exclusively to the Vending Business Industry. If you are a Vending business professional in vending, amusement, micro markets and office coffee services or want to start a vending business, these newsletters are for you! 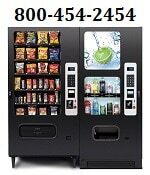 Includes information on Vending Business Start Up, Vending Machine New Products, Technology, New Software, Classified Ads and so much more news about exciting Vending Industry Trends. Articles written by Vending Connection Staff, and material given by our vending readers. We have been in the vending online media business since 1996 and continue to grow successfully with the industry. We value any questions and input. Please send your email inquiries to vendnews@gmail.com. We also value your privacy and do not resell your email to anyone, privacy statement. You can cancel your free vending newsletter subscription at anytime. Currently sent to emails of vending, micro market, office coffee service, amusement, kiosks, vending self-service convenience services industry professionals, vending operators, distributors, suppliers. The email database is updated daily. Deadline for all Artwork is due 48 hours before the next Email Run. ASK ABOUT EXCLUSIVE EBLASTS! Call us at 1-800-956-8363, or EMAIL US today!